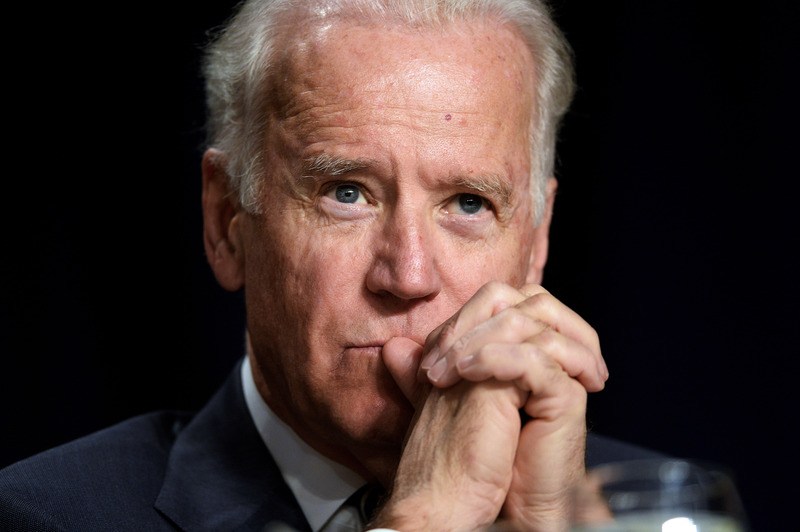 Here's a question for all you Democrats out there, or just for anyone who likes a political guessing game: Will Vice President Joe Biden run for President in 2016? And, if so, what kind of threat might he pose to the other 2016 contenders? Right now, of course, that list of Democratic contenders is painfully short, with precisely one person, former New York senator and Secretary of State Hillary Clinton, actually confirmed in the race. And here's the sad truth for Joe: Hillary Clinton would destroy Joe Biden in 2016, and there's really no way around that. It a curious situation, to be sure, with the all the presumed benefits of Vice Presidential incumbency seemingly gaining Biden very little. Here's the raw truth for Joseph Robinette Biden: his name recognition and polling levels are quite frankly aligned wholly against him. Despite being the second-in-line to the presidency, Clinton has bested him in name recognition for quite a while now, and poll after poll confirms the (admittedly very early) conventional wisdom that Biden is an also-ran at best. In a Suffolk University poll released last week, he was lagging behind Clinton in Iowa by a whopping 53 percent (63 to 10), and that finding isn't so out of the ordinary — he was down 44 percent to her in a PPP Florida poll last month. Obviously, this is the kind of distant-event prediction business that can make you look very silly after the fact. Will I still have a job when Biden is rolling down Pennsylvania Avenue on Inauguration Day? But in all seriousness, even when you look at Biden's pre-VP presidential ambitions, he came up painfully short. The last time he had a legitimate shot at seizing the nomination was his infamous 1988 campaign, derailed by charges he'd plagiarized a speech by British politician Neil Kinnock. The accusations led Biden to withdraw, and ultimately that may have been a lifesaver — he suffered two potentially fatal brain aneurysms just months after leaving the race, and had he stayed in, there's no telling if they would've been caught in time. Since then, however, his star's been dulled on the presidential stage. Biden attempted another run at the top gig in 2008, and we all know how that turned out — he got throttled in the primary season, dropping out after a dismal fifth-place finish in the Iowa caucuses. Clinton finished third on that day, starting the Barack Obama freight train roaring along in earnest, though she nonetheless trounced Biden in the extreme — he didn't even break the one percent mark. None of this is to say that Biden couldn't somehow benefit from a 2016 run, to be clear. Hell, his last ill-fated attempt ended with him accepting the vice presidency — not the job he wanted, but nothing to sneeze at either. Who knows, maybe history could repeat itself in a way he'd be more favorable to. Secretary of State Biden, perhaps? In any event, it'll all depend on whether he decides to jump in the race. On Monday, just a day following Clinton's long-anticipated campaign rollout, Biden stirred the pot just a little bit — he mentioned in a press call that he hasn't made up his mind yet about 2016, as detailed by The Detroit News. I haven't made up my mind on that. I have plenty of time to do that, in my view. If I am wrong, I'm dead wrong, but there's a lot the president and I care about that has to get done in the next two, three months and when you run for president you've got to run for president — and I'm not ready to do that — if I am ever going to be ready to do that. In other words: playing the long game? It remains to be seen whether this is him sincerely keeping his foot in the door, or a bit of idle chatter in the meantime, but this much seems certain — a Biden 2016 run would be a world-class long-shot bid.